Oversized sofa suitable for one or two small children. Decorated in neutral tones, this sunny and bright living room has an oversized sofa suitable for one or two small children to sleep on. 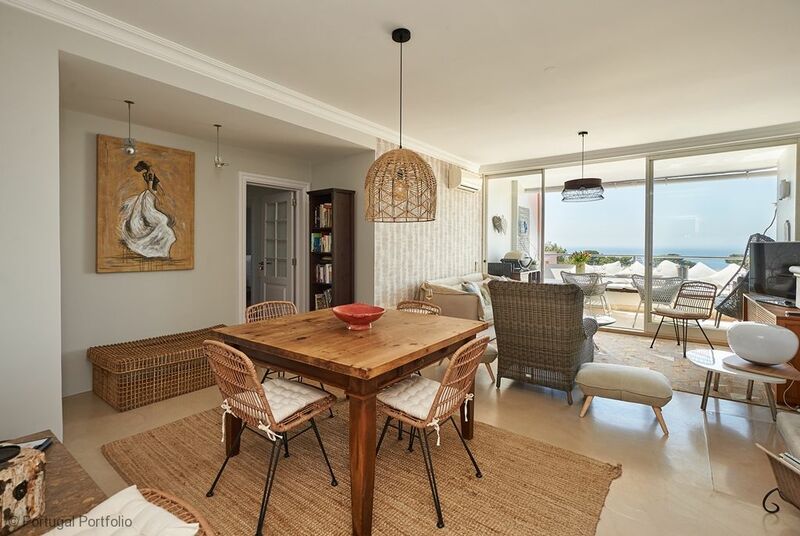 Living room offers seating for about 5/6 and leads onto south facing veranda with uninterrupted sea views. Dining table will seat up to 8 people. 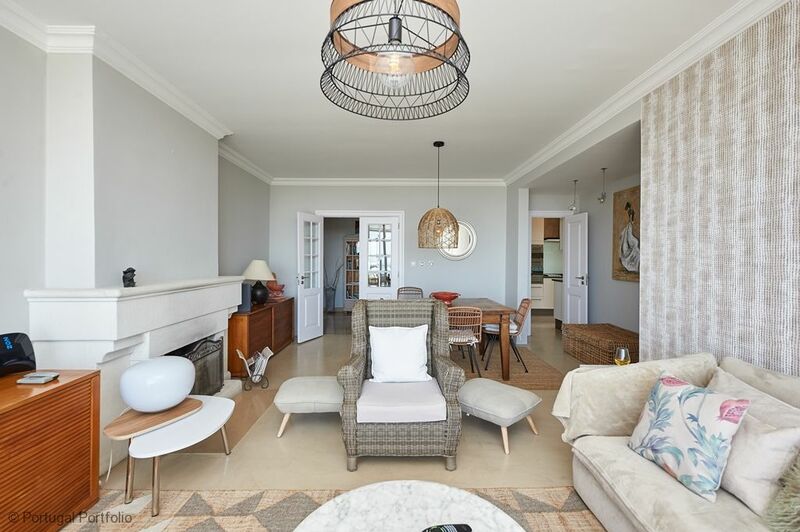 Located just off the narrow cobble stone streets of old town Cascais - a small fishing town offering everything at close walking distance - no need for a car although secure parking is provided. Beautifully decorated offering panoramic views up to Lisbon & over the bay of Cascais - along the coastline to Cabo da Roca. 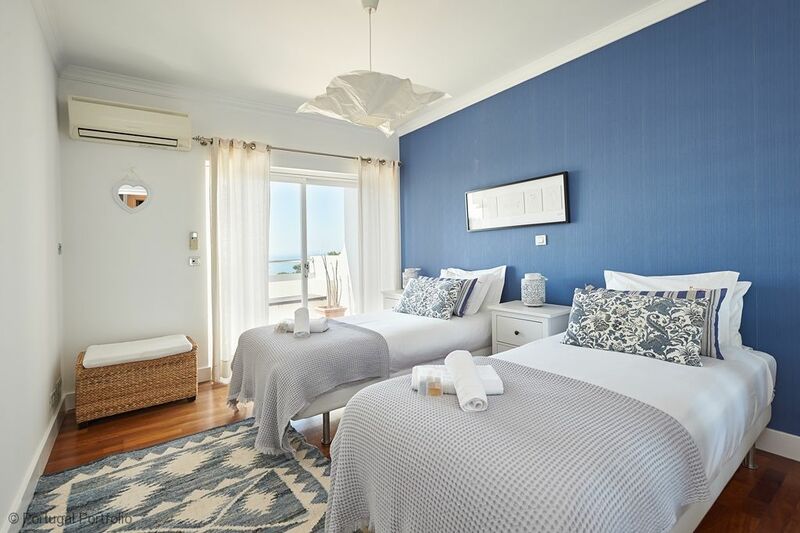 Living room & bedrooms - sea facing with individual verandas - enjoy the sunshine from morning until sunset. 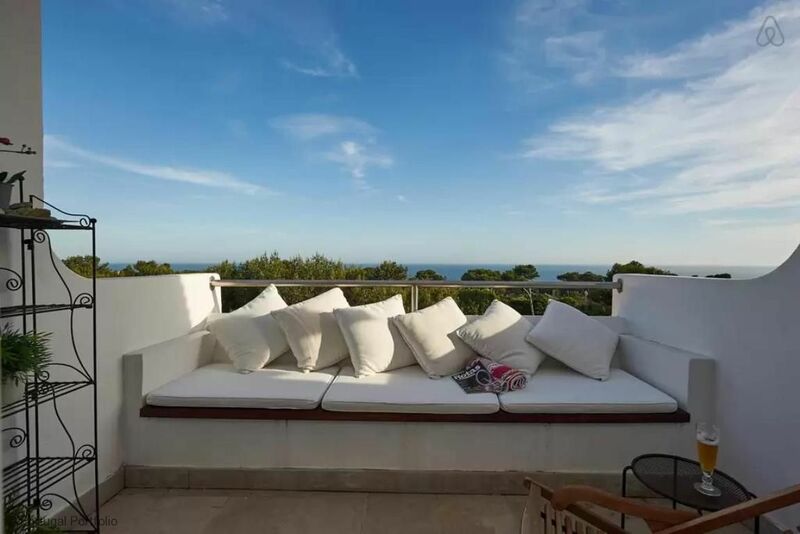 Lay out on loungers and enjoy a book whilst listening to the ocean waves. Well maintained closed condominium complex with adult and infant pools and extensive lawns & gardens littered with palm trees. The vibrant town centre of Cascais - the train station, Cascais-Estoril-Lisbon (32 mins), is an easy 7 min walk. 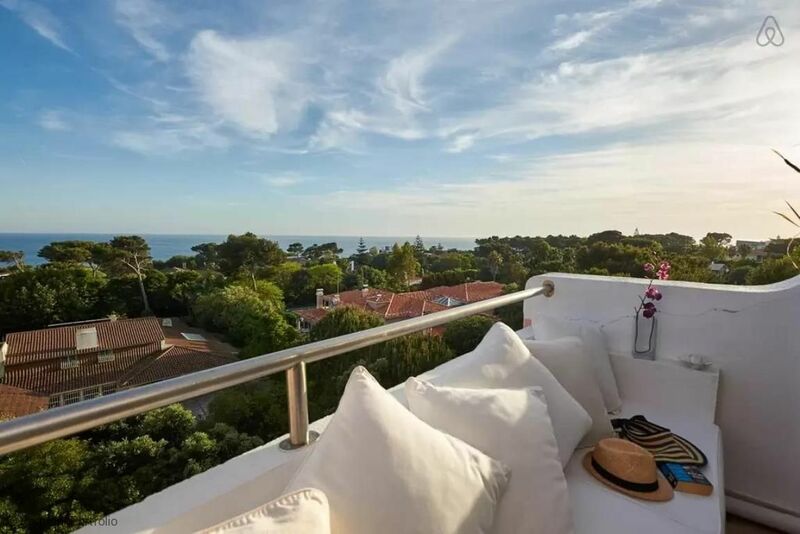 It is situated close to the popular square, Largo de Camões in the cobble streets of Old Town Cascais, with its abundance of choice when it comes to cafés, restaurants or bars. A short walk to the parks, marina and yacht club, beaches, shops, good bars and many restaurants are just 200m down the road. Easy train &Get a feel for the Portuguese life, Casa da Guia with all of its speciality shops, boutiques, restaurants & cafés offers afternoon refreshments overlooking the sea with wonderful views up to the Cascais marina bus links to Lisbon, Belém, Sintra and Estoril make it ideal for anyone wanting to add a little cultural substance to their beach holiday. 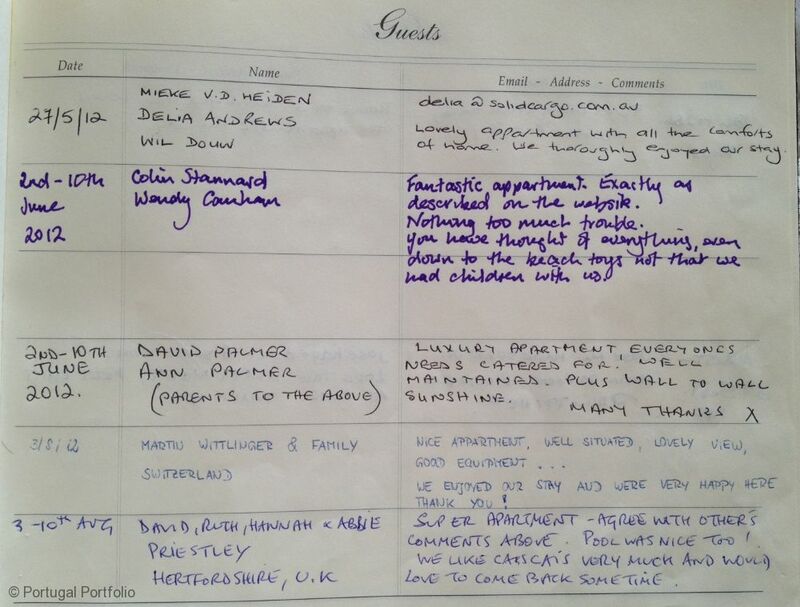 "We have just ended a delightful week at the apartment. The apartment was spacious, comfortable and well appointed, and nice to have outside terraces., and very good pool on the well tended garden. 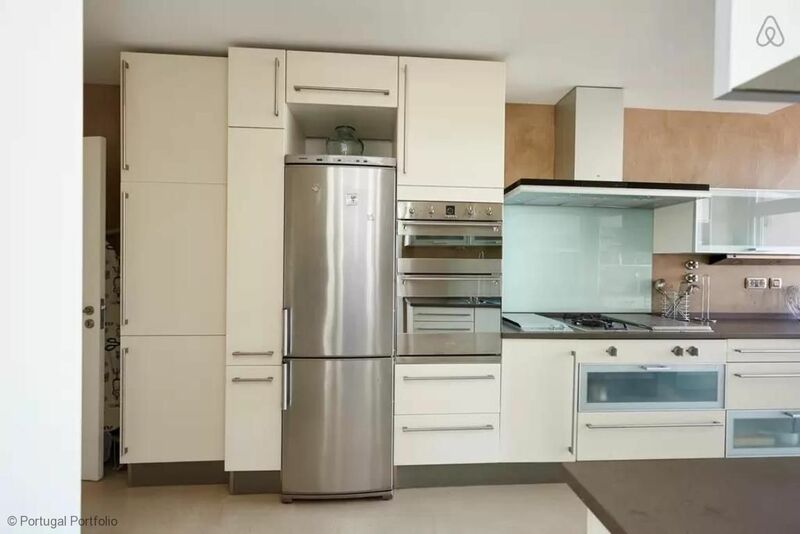 Good wardrobes with plenty of space and the kitchen was particularly well equipped with every possible saucepan , jug, platters , dishes and glasses. It was also good to have two washing machines!! Cassie greeted us warmly and was hugely helpful and considerate . Unfortunately the air con was not working during our stay but fans were provided ... hope it is back on now, the technicians were working hard as we left . 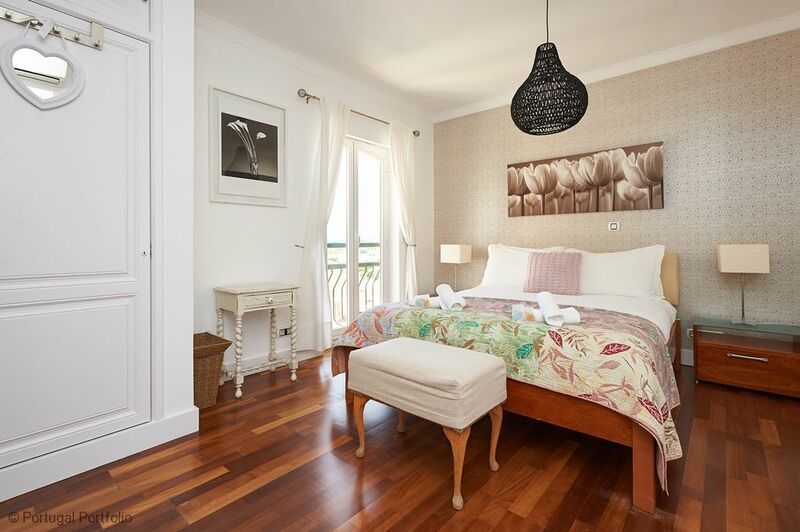 We would definitely recommend this apartment and hopefully will return another year to Cascais to stay in this delightful property" Judy E.
"The apartment is the perfect base for a stay in Cascais. 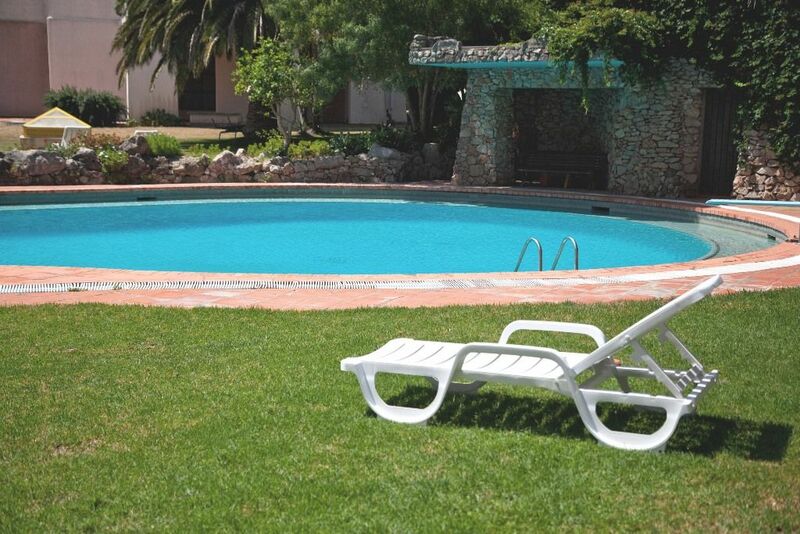 It is extremely comfortable with stunning views and very well equipped. Portugal Portfolio staff were very helpful and efficient. There are lots of great places to eat within about 10 minutes. We loved 5 Sentidos and Hamburgueria do Bairro. Walking into town down the tree lined avenues and along the cobbled lanes is lovely. The park opposite the Paula Rego museum is a great place to stop for coffee and we also had a relaxing early evening drink in the Arts centre. The pool area is good on a hot day however the apartments create a bit of a wind tunnel so the first two times we tried to sit out it was too windy. There are quite a few sun beds and parasols and if they are all in use there is a grassy area to sit on. We had a wonderful time in Cascais." Nicola B. My children and I had a fantastic stay at the Luxury Sea View apartment. 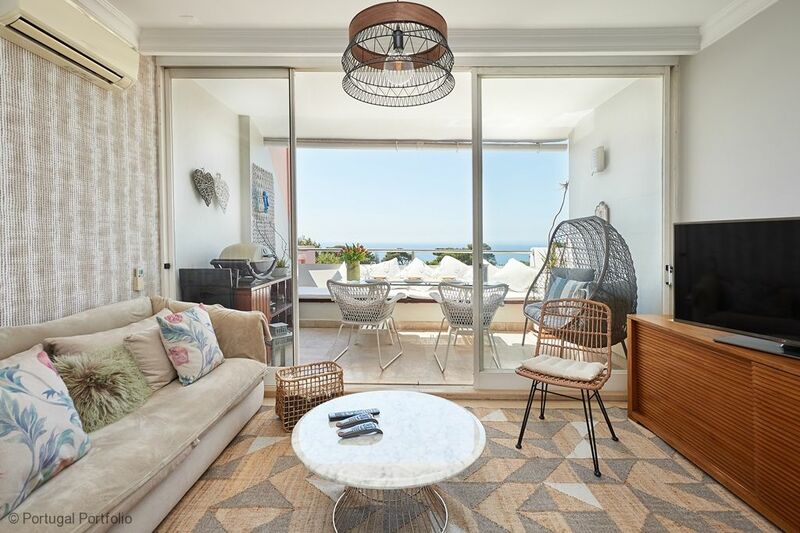 Although it was too cold to swim in the outdoor pool, we appreciated the beautiful view of the ocean from the high floor on which this apartment is located, and loved the modern style of the decor and furnishings. The manager was very responsive when we had an issue, and came over to resolve it the same day. We would love to come again during a warmer season! The apartment fulfilled our expectations. The kitchen was well equipped and our contacts with the booking agency worked fine. 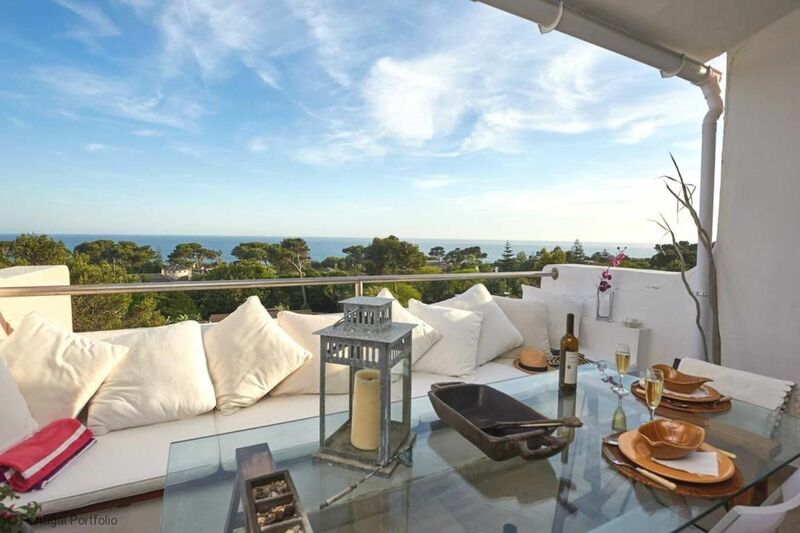 Great sea view from a nice terrace. We had a great time thank you. We love Cascais. 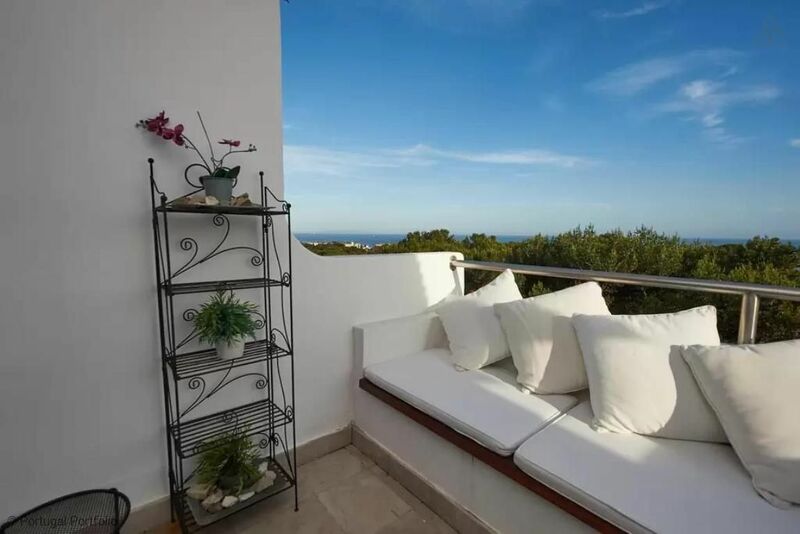 This is the third year in a row we have stayed in a Portugal Portfolio property and every time we are very pleased with the service and the property was amazing as always. 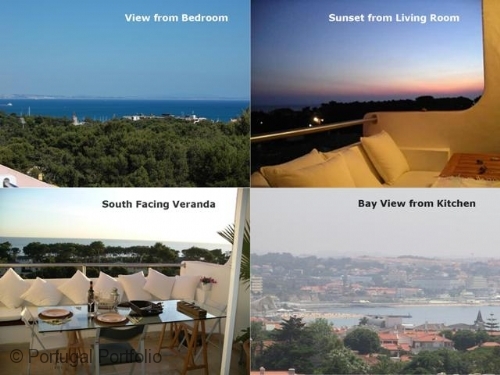 We stayed as a group of 5 people in the Luxury Sea View apartment, and we would rate it very highly. 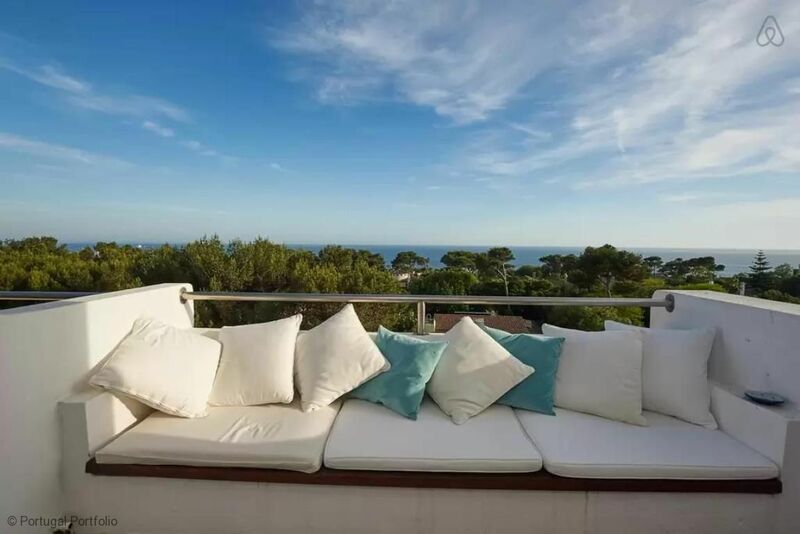 The apartment had stunning views and also was very well equipped and very spacious,having three good size bedrooms,three balconies,and a large kitchen and living area. We were met by Marisa at the apartment when we arrived and she was very helpful in every way. She couldn't have been more helpful and we knew that if we needed her at any point that she would be available to us at the other end of the phone. Luckily we didn't as everything went very smoothly, and we had everything we needed in the apartment. 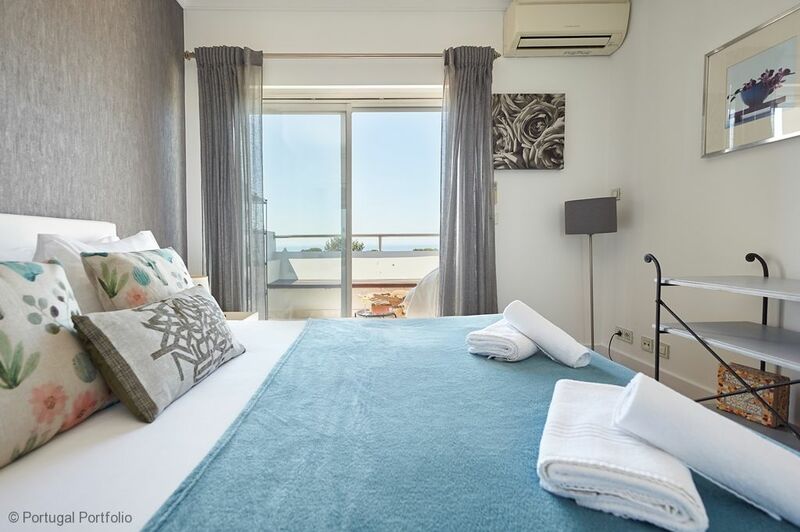 The complex was within walking distance of everything in the town and also had a lovely pool area if you decided to stay within the apartment for the day.We would recommend this apartment to anyone thinking of travelling to Cascais. Thank you for your wonderful, prompt and professional service that the whole team have provided. From my very first enquiry regarding the property, you provided me with first class service, prompt and precise, I would not hesitate to use your company again. 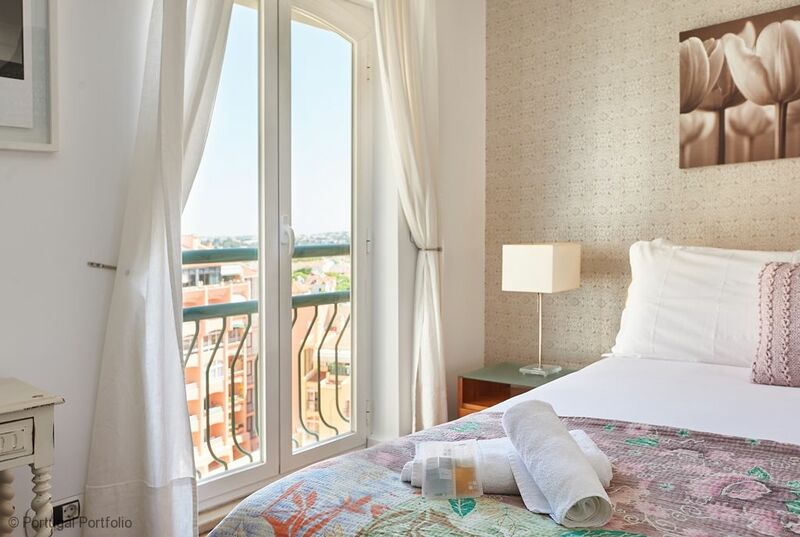 The apartment was spot on, clean, well equipped, with fantastic views from spacious private balconies. Using your transfer service made easy work of getting to the apartment from the airport, especially after an evening flight. When we arrived at the apartment we were greeted by your check-in key holder, who was friendly and knowledgeable. The Welcome Basket we ordered was certainly welcome as our Teenagers are always hungry! We look forward to returning to the apartment! Our second time to stay in this lovely apartment with a beautiful view over the bay. 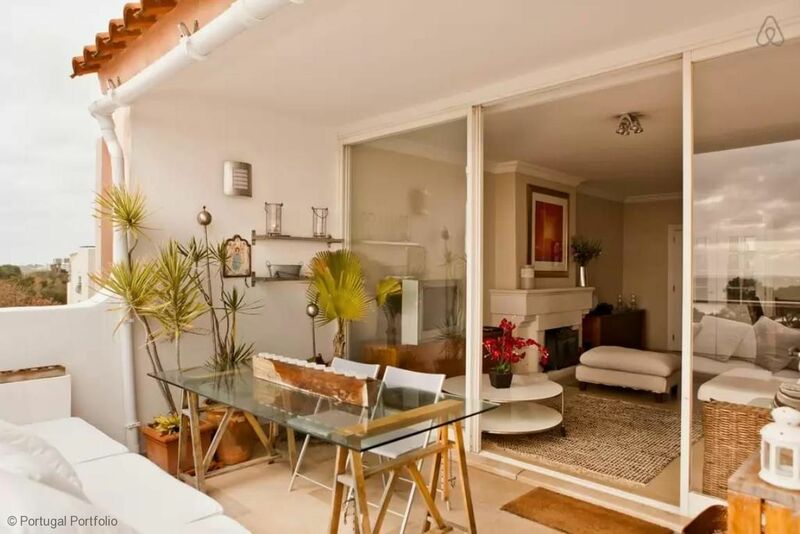 Good location, quite close to the centre of Cascais. We will be back at least once in 2017. The staff at Portugal Portfolio are very helpful and their suggestions for restaurants were spot on. Absolutely stunning apartment. We were a group of five adults and didn't once feel on top of each other. Never had such a well stocked kitchen before or such an indepth introduction . 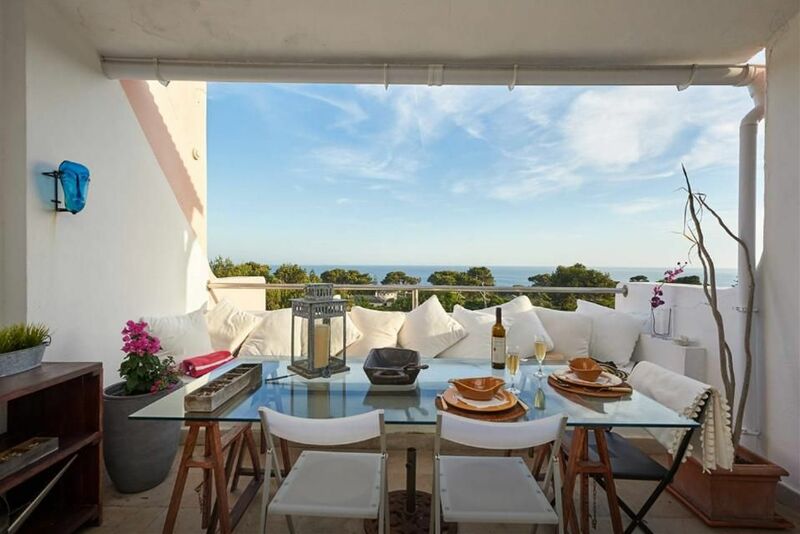 Within ten minutes walk to Boca De Inferno and a leisurely 15 - 20 to the centre of Cascais. There are building works taking place which means the gardens and pool are out of action but we got a decent discount off the price so no complaints there at all. 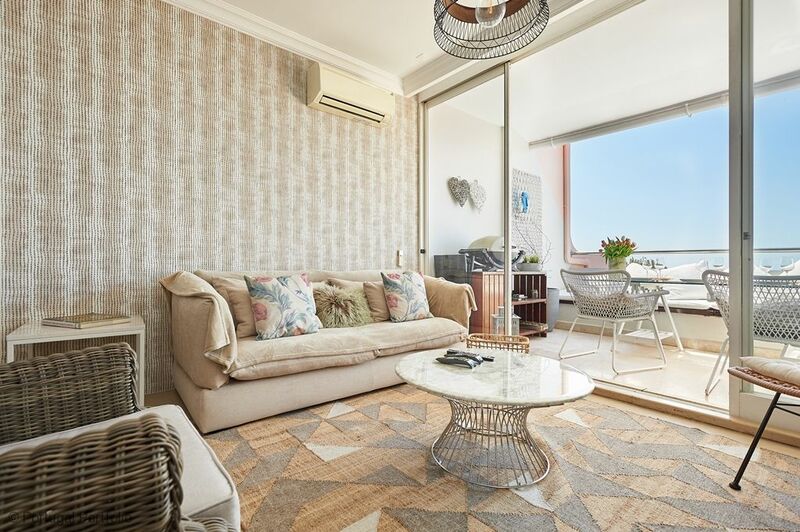 From the first point of contact with Portugal Portfolio, who were efficient, helpful and professional, we knew this apartment was going to be something a bit special. 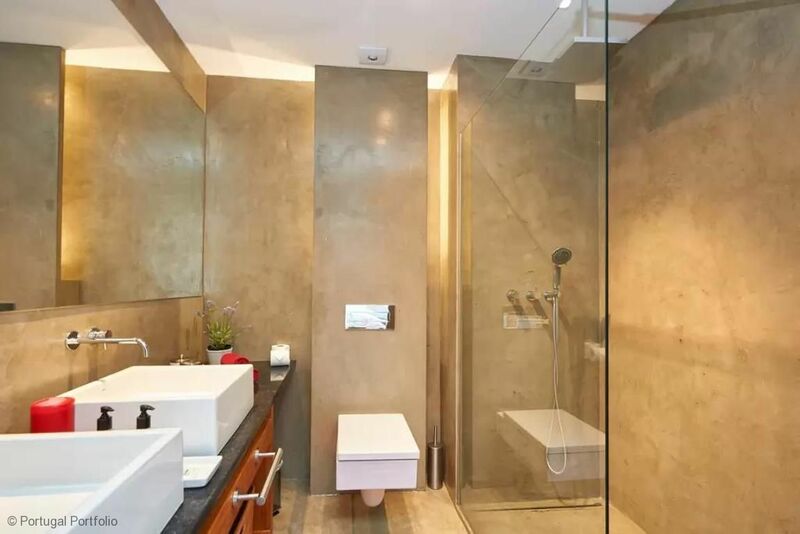 Located in a quiet, well maintained apartment complex with secure gated entrance (which seemed more residential than holiday apartments), this beautiful apartment is 6 floors up and offers exceptional views from every room. 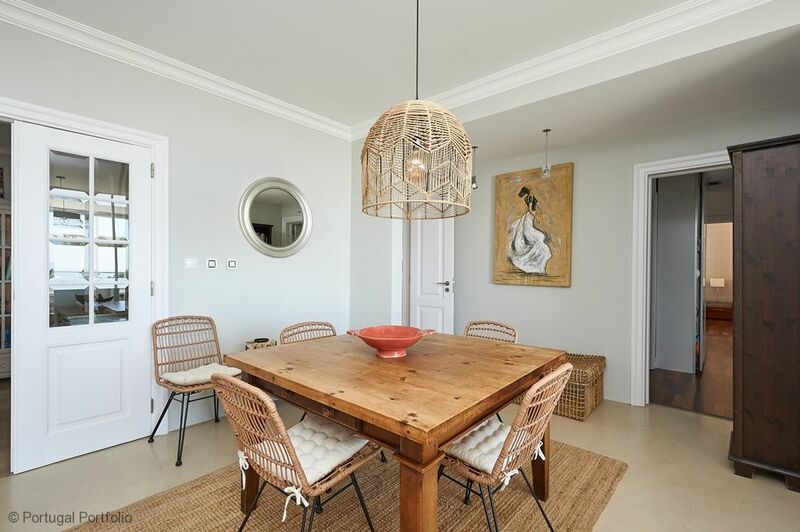 The property is a beautiful well maintained home, rather than just a holiday let and is tastefully furnished with everything you could need for a relaxing, luxurious holiday. 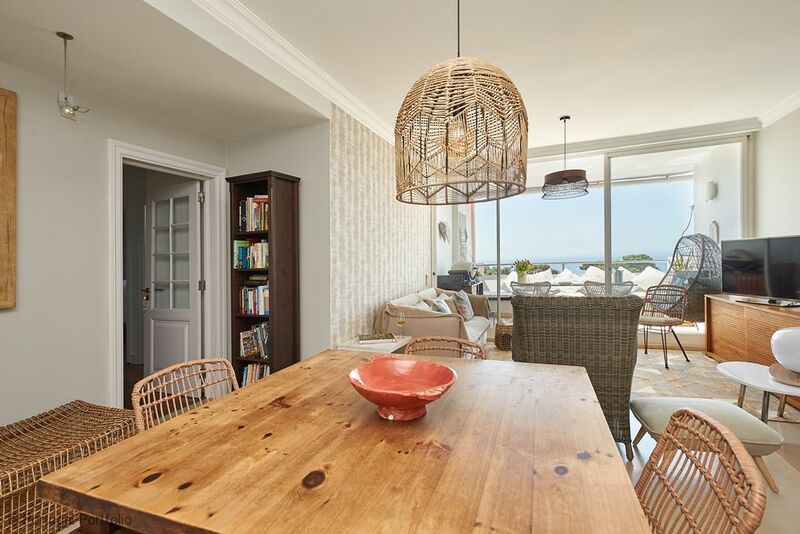 Walking distance from central Cascais with its restaurants and bars and well placed for beautiful coastal walks towards Estoril and Guincho bay. Lisbon is easily reached by the efficient train service and the wonderful little hilltop town of Sintra is only a taxi ride away. Overall, this is probably the best holiday apartment we have ever found. The apartment had everything you could wish for. The shelves of books & games was great but best of all was the size of the lounge balcony. It was huge. A lot bigger than the web photo's suggested. All 6 of us sat round the balcony table & enjoyed a late dinner whilst viewing the sunset - priceless! 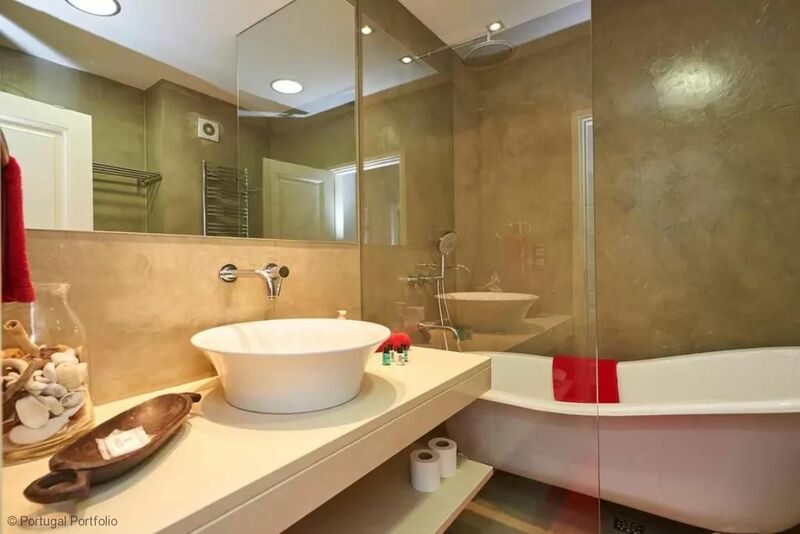 A very pleasant, spacious and well equipped apartment within a secure block of similar properties that featured a lovely swimming pool. 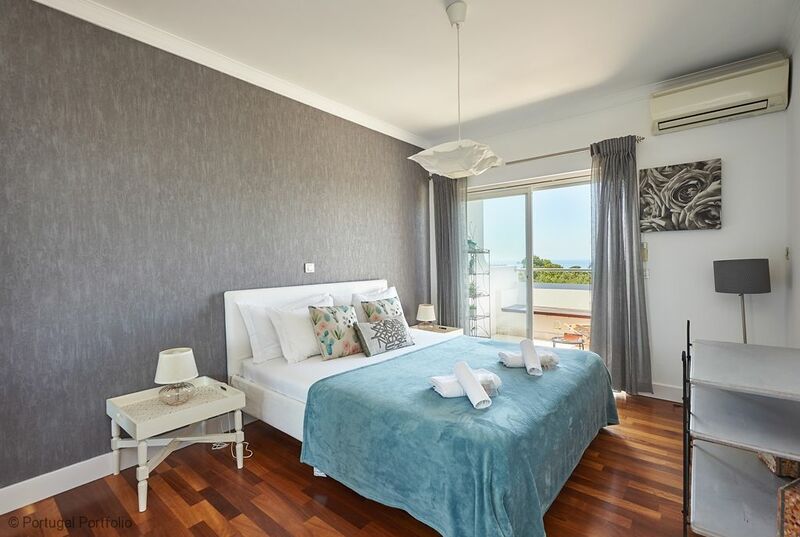 Amazing views of the sea and over Cascais from many rooms. A ten minute walk takes you to the charming town centre where there is an abundance of parks, restaurants, shops, beaches and entertainment. Coastal walks are well catered for and the local bus and train stations are very convenient for Lisbon and cultural hotspots such as Sintra. 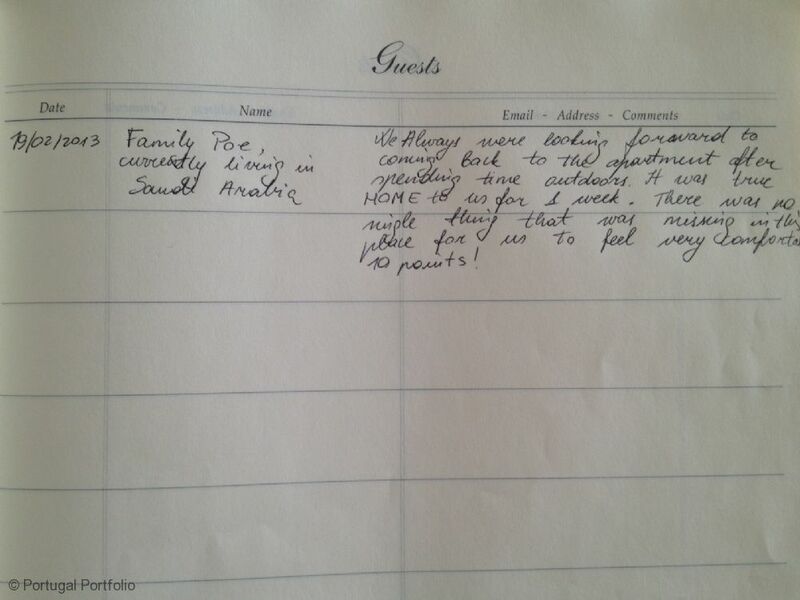 The management were courteous, helpful and efficient enabling a stress free holiday. Highly recommended regardless of age. 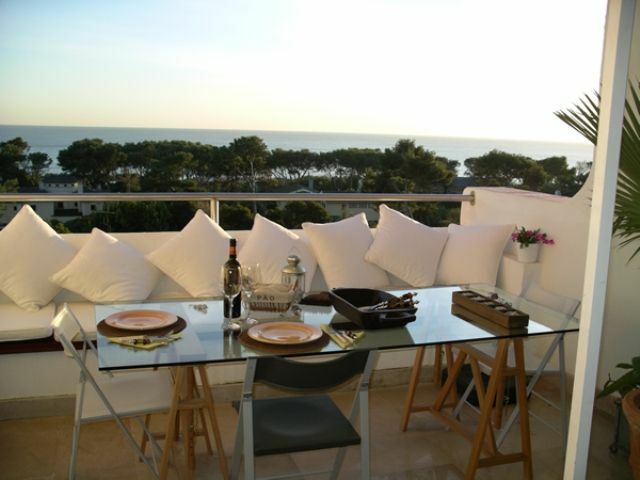 "Lovely apartment with everything you could need with fantastic views over the sea. Very conveniently located within walking distance of the town centre, beaches and restaurants, and a large shared pool that was great to have on hot days. Portugal Portfolio were also very helpful and efficient, arranging airport transfers and a trip to Sintra. We hope to come here again!" 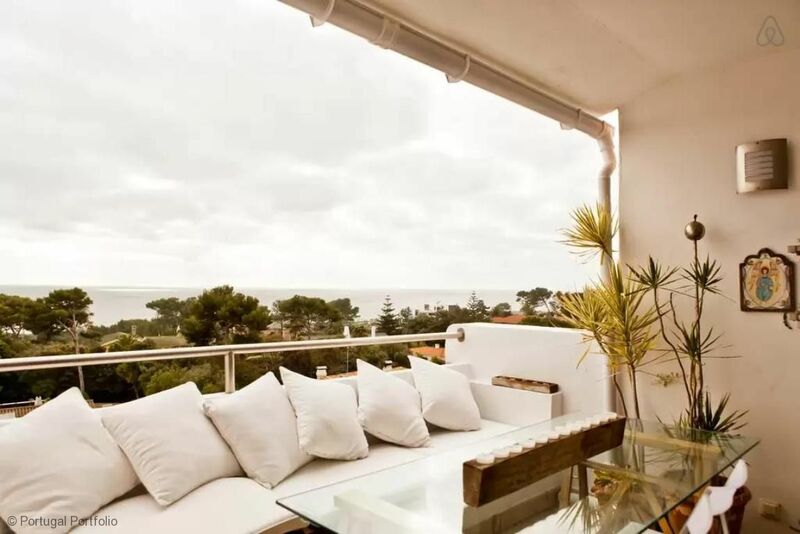 Hi, 4 ladies from London stayed in the luxury sea view apartment in Cascais for 5 nights at the beginning of May 2015. From initial point of contact, through booking and finally greeting us at the apartment we couldn't fault Portugal Portfolio. They were exceptionally helpful and professional. The apartment itself was everything we had hoped for and was a lovely relaxed base for our excursions. It was exceptionally safe with manned 24 hour gatehouse, conveniently located for everything and had everything we needed. 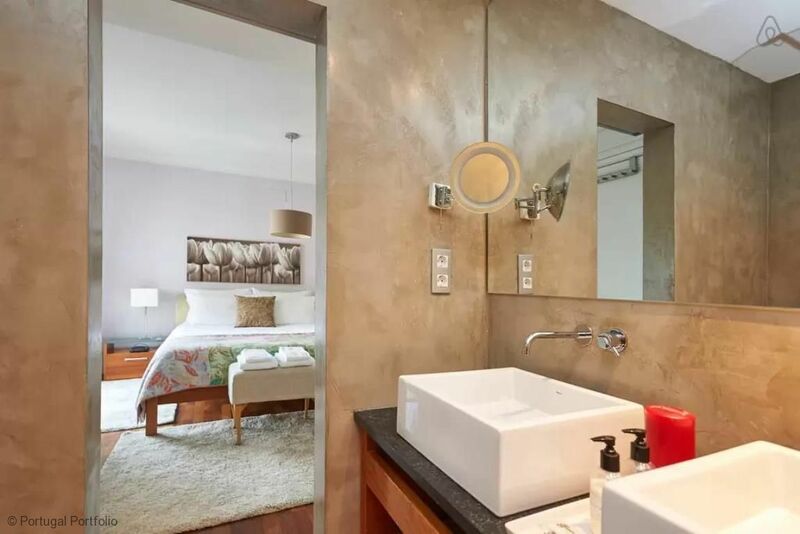 We had a wonderful time in your apartment we could not have expected any better it was very well equipped I like to stay in Nice accommodation whenever im away I could not fault this accommodation and its location I would certainly give it a 10 out of 10 we had a wonderful time. This apartment is absolutely beautiful. It is very spacious. There were five of us. Three balconies, large sitting room with dining inside or outside. Everything you could need supplied - definietly a home from home and beautifully decorated. Fairly central with plenty to see and do within a short walking distance. 24 hour security and very private in very nice surroundings. The sea views from the apartment are stunning. Nicola who met us on arrival was very informative and there is a booklet with lots of info supplied also. We had a wonderful time in Portugal. The place and the accommodation were fantastic and we enjoyed it. 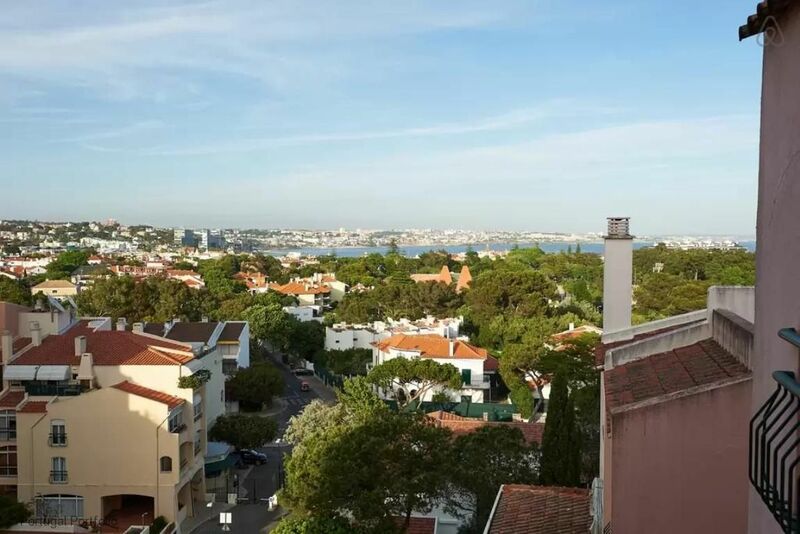 We enjoyed our stay there in Cascais and everything was fine. The apartment had everything what we, 6 adults and two small children, needed. We made food there many times and washed our laundry. The view was better than man can image!! You can enjoy on your own balcony same time the setting whole moon and the rising sun, between the infinite sea. Absurd!! 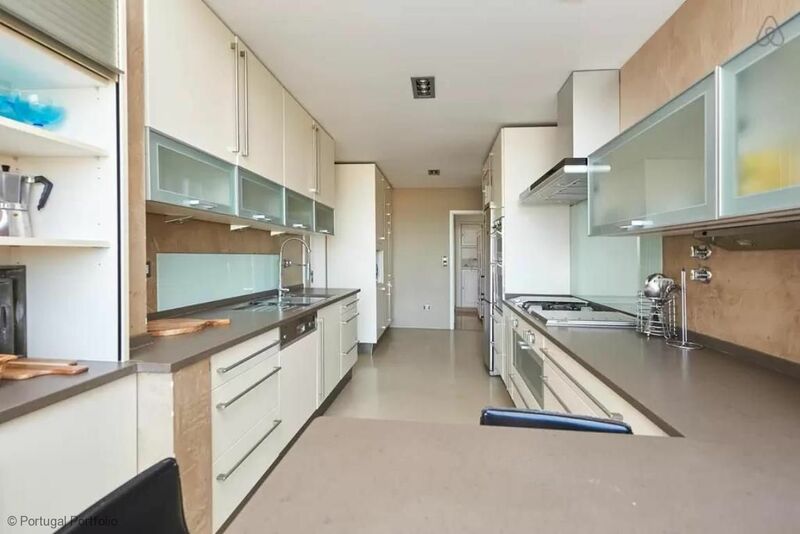 The situation of the apartment was exelent, near the city and near the garden and beaches. We had a very lovley stay in an apartment that looked even better then in the pictures. 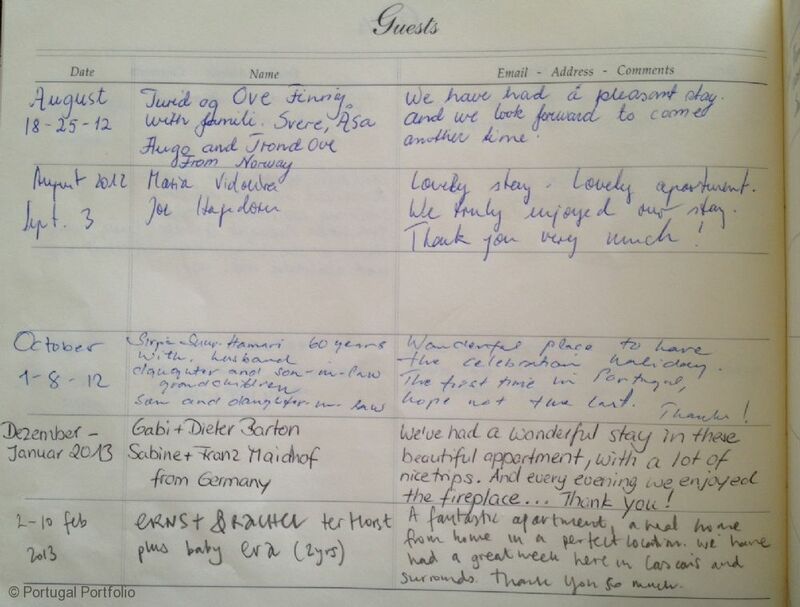 We had great servic both from the owner of the apartment, and portugal portfolio, who was quick to reply any request that we had during the stay. 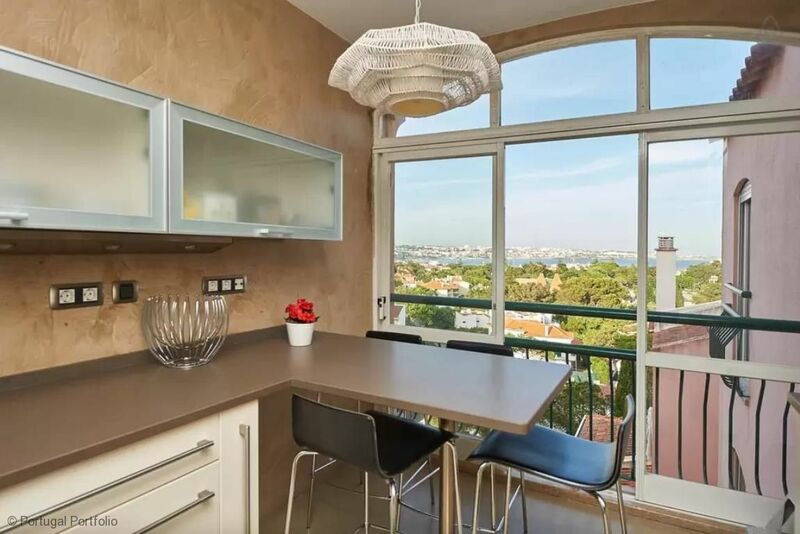 The apartment is ideally situated not long from cascais centre, and we would love to go back to visit. We enjoyed the stay very much. The appartement was more than a usual holiday appartement. It was more like an own home. The kitchen was perfect. Just a few minutes walk to the shore, to the harbour or to the park. I would give 5 of 5 possible points! Anyone looking for a wonderful, loving home is right here. We felt totally comfortable and the view is indescribable. 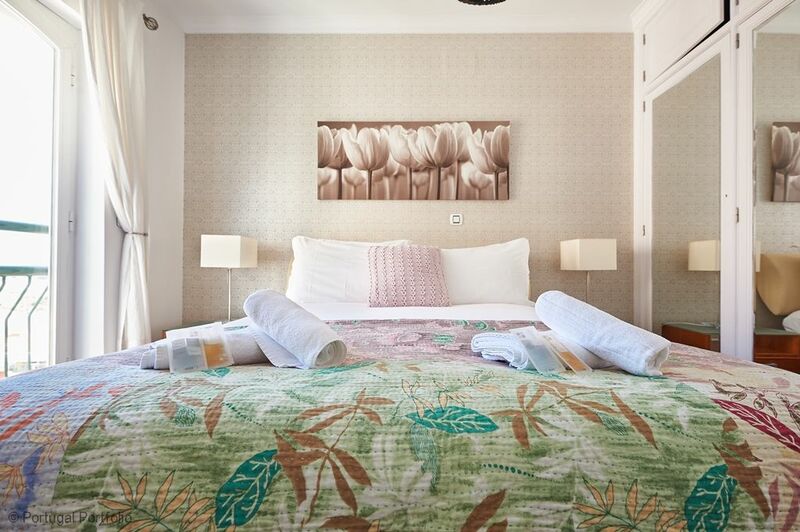 The beds are very good conditions for Portuguese and the establishment offers almost everything you need. In addition,free WIFI and the situation in Cascais. We have here, except to go shopping, never needed a car, all restaurants were within walking distance. The beautiful Guincho Beach is within minutes 10th accessible by car, the town beach (sandy beach) you can run. 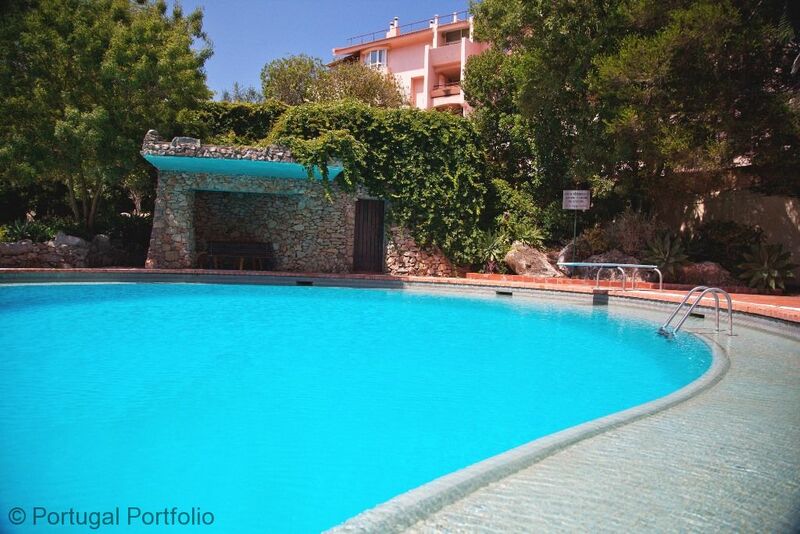 Great apartment with a great location, close to the old town and beaches. The booking staff were very professional. We had a lovely welcome on arrival by Pamela, with a thorough introduction to the apt and some excellent recommendations for good local restaurants. A very relaxing place to spend 5 days. 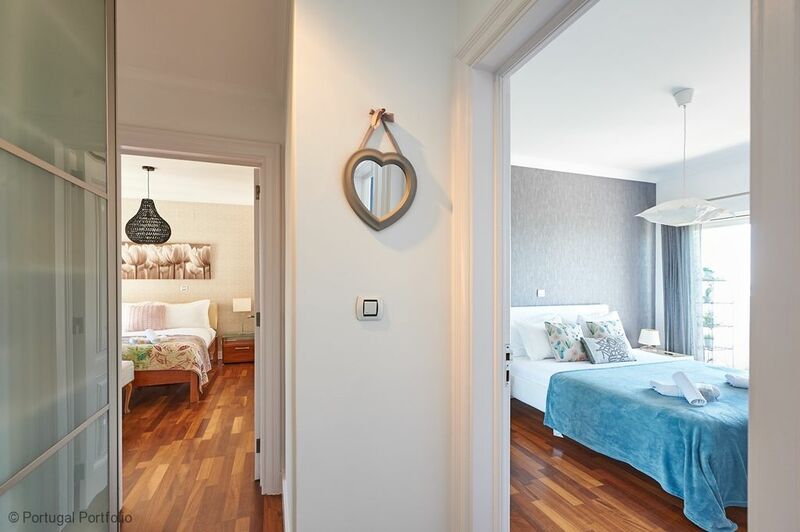 This wonderful apartment exceeded our expectations. We've had 10 fabulous days here. Spent much time at the balcony. The view is absolutely fantastic. We would have appreciated a large bottle of water in the fridge at our arrival. We felt at home here.